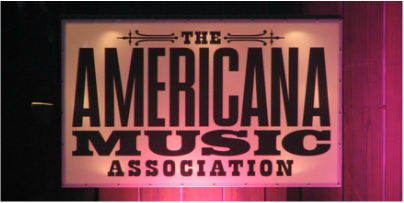 Based on submissions to my company here is some of the best Independent Americana Music I have heard. 14 years old Olivia Bey possess a powerful voice that never ceases to amaze her audiences when she performs. Olivia has natural tone, emotion and inflection that is purely and unconditionally Americana. Discovered by Dominique Mitchell, who has trained the likenesses of Beyoncé and Michael Jackson, Olivia performs with a goal of connecting with audience. "Music is emotional and emotions are universal. 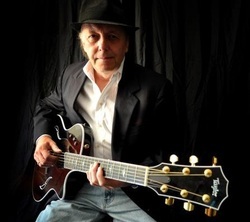 Gary Reed’s music is an intriguing mix of fingerpicking guitar playing, reminiscent of the finest 1960’s blues guitar players, and heartfelt lyrics that tell tales of love, loss and longing in the best tradition of John Hiatt, Jerry Jeff Walker and other noted tunesmiths. Little wonder Reed was a regular player at New York’s Bitter End, Folk City, Café’ Wah and Max’s Kansas City during the ‘60s and ‘70s before moving to San Francisco and becoming a regular on that festival scene. He has opened for some great players such as: Jerry Jeff Walker, Billy Joel, Randy Newman, Joe Walsh and Jeremy Steig. Combining equal parts country, folk, rock and Americana, singer/songwriter JOE WHYTE's songs have been described as "alt-country pearls that shimmer with simplicity and effectiveness" and "beautifully crafted, melancholia Americana." Dubbed, "The King of NYC Americana" by music blog Twangnation, Joe's latest EP, WHEN THE DAY BREAKS, is a stripped-down, acoustic-base follow-up to 2007's critically acclaimed full-band album, Devil in the Details. Dave Younger is a teacher now. In his new incarnation he's Mr. Yinger and he works with Middle Schoolers with learning disabilities in Stockton, Ca. For 35+ years he ground out 2-300 gigs per year fronting the Dave Younger Band. In that time he recorded 3 albums of self-penned songs and opened for Willie Nelson, Eddie Raven, Johnny Paycheck and other big name acts. The gigs and the late nights got harder to do and the writing got easier. This song, "In My Head" is an attempt to connect with all the people struggling to make ends meet....it offers a safe (if temporary) retreat from all the trouble in the world. Rebecca Hosking has been a singer/songwriter for countless years building her career and honing her craft. She is a succinct lyricist and story teller. In recent months she has landed numerous cuts on TV/films and independent artists and looking to land a deal with major label artists as she pounds the pavement in Nashville making her presence known. She is currently touring around the North and Southeast promoting her globally recognized debut CD, Love and Other Disasters as well as the follow up, My Mother's Child; and now working on her third CD release, My Soul is Already Sold. Justice Boateng is born and raised in Ghana, West Africa. Justice comes to offer a new genre of music that bridges the gap of Poetry, and Inspirational music. This genre is called "Jubo Music. Finding his own signature or style of music which He call his Genre “Jubo music”. He explains to his fan “Jubo “means inspiration from above from a higher viewpoint. According to Justice, "Jubo music" is not form of rhyming in music as mode of expression, However inspiring with the touch of Story telling, Wisdom, Proverbs, Poetry and Philosophical. Justice brings his own world view to traditional urban to create a transcendent musical experience all can enjoy. 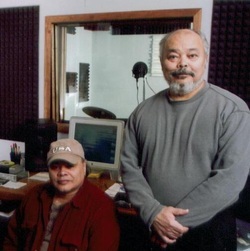 Richie Lexington Hernandez is an independent (Nashville Songwriter Association International member since 2013) with 23 years of writing experience. Styles ranging from; Top 40 Modern/Pop Rock, Country, and Contemporary Country. artists ranging from Bryan Adams, Kansas, Joan Jett, and John Waite to Train, the Nitty Gritty Dirt Band, Joan Jett, Ingrid Michaelson, and many more. Her CDs have reached #1 on two indie charts and #4 on the college charts. Lisa also hosts the top rated regionally syndicated TV show "Rock Star Kitchen," which has included guests such as Foreigner, Lita Ford, Tonic, Candlebox, and Chubby Checker, who come on and cook their favorite dishes as well as "partake in a kitchen table jam" with Lisa. Check out further information at www.lisabouchelle.com. Tapia Corel and Jim Rhodes have been performing together as Partners in Crime, since 2009. From the beginning, they were keenly aware of a special blend of their voices, reminiscent of those who share the same DNA (think Everyly Brothers and The Judds) and a chemistry that radiates throughout their work. Partners in Crime’s music chronicles the bumps, bruises, disappointments, bad decisions and joys of traveling one’s own road through a mix of tempos, styles and unexpected turns of phrase and melody. It also puts voice to experiences many prefer not to discuss, but well understand. work in various cover bands, and as a Mae West impersonator at Universal Studios, to Jim’s performances at such renowned LA clubs as The Troubador, Gazarris, Madame Wong’s West and a stint as a staff writer at Criterion Music, they feel the most important aspect of their musical history is what they are doing now: writing, performing and telling the story of grown-ups who have “been there, done that,” sometimes through no fault of their own or digging in their heels all the way down the slope. Inquiries may be sent to mstapia17@ gmail.com, vallemusic@ earthlink.net, as well as 818 631-1757/762-0615 . A fleet-footed songwriter that lets the songs write themselves, his ideas clank around in his soul and when the time is right they spill on out. Sometimes that takes a half hour and sometimes its half a decade. Either way songwriting is as much a part of me as taking a breath. Musically the song presents itself in whatever genre it wants. Most of them live in the acoustic-country rock-blues universe. A lot depends on what the “lick” the song is based on calls for. 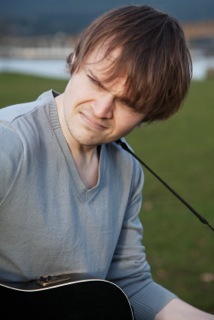 Lyrically John likes a turn of phrase that can have a multiple meaning depending on the frame of mind. John is averse to taking topics head-on instead he strives to leave plenty of room for the listener to find their own way through the words. winter, Christopher moved westward to the land of long beards and thick-rimmed glasses, and the transition has helped him to find his true voice. With a blues howl that hovers somewhere between Cat Stevens and Steven Page, the lyrical soul of an urban nomad, and playing a baker’s dozen of instruments, Christopher has been making an impact on the barroom stages, open mic nights, and street festivals that mark the burgeoning folk scene of Vancouver. 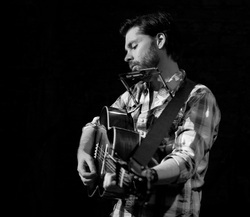 Recordings from his first two albums produced and brought to life by Chris in his homegrown studio in Calgary, AB earned him the ear of the Calgary Folk Festival Songwriting Competition, where he placed fourth and third overall in 2009 and 2011. A tireless worker, Christopher completed a tour of Western Canada in the summer of 2012, and has spent the fall and winter playing shows throughout the Vancouver/Lower Mainland area, including appearances on CITR and CJSF radio. During that time, he also wrapped up recording on a 5-song EP that is due to release at the end of 2013. The Red Dirt Skinners are a Country/Blues duo from England. This year they were placed SECOND at the British Blues Awards (Best Instrumentalist category) and are waiting to hear the results of their nomination for Best New Act at the British Country Music Awards. "The Red Dirt Skinners prove that the UK can rival points in Deep South America when it comes to Rootsy Country." Maverick Magazine. HOME PORT is a New York City acoustic vocal trio that sings Oomaloo - an exuberant form of World Folk; its grooves are in balanced, odd rhythms; its melodies are intertwining and contagious. 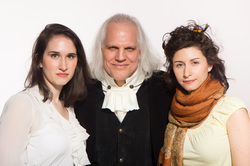 Porter Smith composes, arranges, accompanies, and sings tenor with soprano Megan Longwell and alto Meirav Eytan. email is cakewoodmusic@yahoo.com and my phone is 607-227-7811. Brothers Louis and Ben own Life Stream Recording Studios which is an HD and LE Avid Pro-Tools facility. Louis Cruz (our lead guitarist and conductor) toured with Mickey, Larry and the Exciters. In the late sixties, they joined a Chicago show band and went on tour throughout the United States. 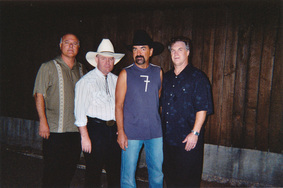 Gary U. S. Bond selected the band to be his back – up band. The band played at clubs and festival all over the United States. The band was then chosen by Mickey Larry and the exciters to go on tour. 9329 W. Wheeler Rd, Evansville WI 53536. Living with wife of 30 years, Olga, who continues to be the inspiration for all of his love songs, and two great kids, Jason and Danielle, Rich Pirone has been writing songs for many years collaboratively and solo.